We're sat opposite Palmer Luckey, 21-year-old inventor of the Oculus Rift. There's so much we want to ask him but right now he's too busy explaining his plans to build the ultimate Pokemon team. "Charizard's actually competitive again now that you have mega Charizard Y because his ability brings the sun out, so he's a great sweeper." Seeing him geek out with so much passion, we've never been more glad that this is the person who controls the fate of Oculus Rift. Why did he do it? Because he could. Because the technology for a proper virtual reality headset was finally ready. But perhaps most importantly, because he believed it was time for a shake up. "What people have available to them on the market in terms of game consoles and other platforms, I don't think it's exciting to them." Luckey tells it how it is. You probably know the Oculus Rift story by now. The prototype hardware available to developers is still in its early stages but a commercial release is nearing. Until then, the team have their hands busy with a lot of tweaking and prodding left to do. "We're working on higher resolution, positional tracking so we can track full movement through space, reducing motion blur, latency - all those issues that really can take you out of the experience sometimes, so the rift is as invisible as possible," says Luckey. 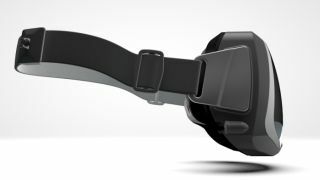 Solving motion sickness has perhaps been the biggest hurdle for Oculus to overcome, but Luckey assures us that the team have made huge strides in solving this. "We already have internal prototypes that for some content completely eliminate motion sickness," he says. "Our newer hardware is much better and it greatly reduces the chances of someone getting motion sick." However, experiencing a little uneasiness during simulated high speed motion should come as a surprise to no one. "The run speed in Unreal Tournament 3 is something like 30 miles an hour," says Luckey. "And instant acceleration backward 40 miles an hour... the human body does not handle it well. "So a lot of this work that has to be done to make games work in VR is really making games that won't make people sick in reality while still keeping the limitations of VR in mind." He also says it's something we'll get used to, given time. "Currently it's something that most people do adapt to after spending time with it their brain learns to handle it. Most people don't get motion sick after they learn to accommodate." We'll be seeing the finished product in "months, not years", he reassures us when we raise our concern that the current Q3 2014 target might be too optimistic. Perhaps we're wrong to have any doubts - with John Carmack now on board as Chief Technology Officer, the Rift is only picking up momentum. "He's super smart, he's working on everything," Luckey tells us. "Carmack is more of an engineer than a game designer. We have people on the team who are game designers and who have come from that background. His game design background is not the thing that's being applied the most in Oculus right now, it's his incredible programming talent and understanding of how to integrate hardware with software effectively." The mastermind behind Doom might be hopping into bed with the Rift but neither Sony or Microsoft seem particularly interested in Oculus right now (though that doesn't mean they're not pursuing their own VR solutions). Is Luckey planning to get cosy with either the Xbox One or PS4? "Consoles are too limited for what we want to do," he says. "We're trying to make the best virtual reality device in the world and we want to continue to innovate and upgrade every year - continue making progress internally - and whenever we make big jumps we want to push that to the public."